Those who are only concerned with becoming qualified on paper. 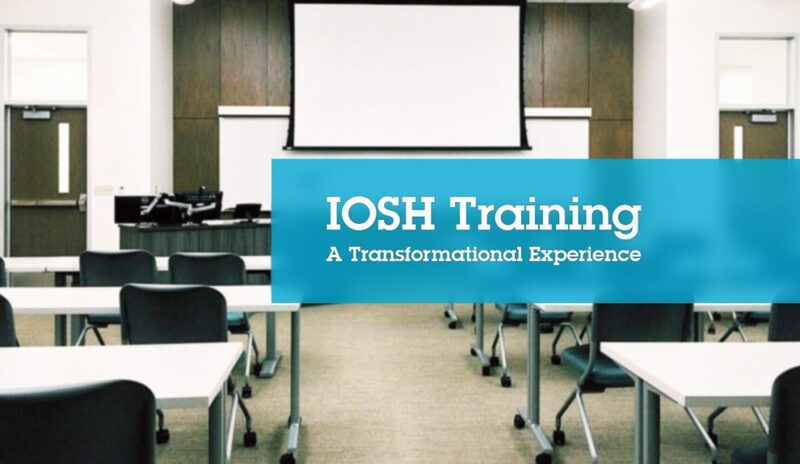 Those who are on a journey of cultural change, who want the training to be a transformational experience which gives their people the skills, awareness, knowledge, and motivation to take ownership of Health & Safety. I certainly know which I prefer to deliver training to! Of course, these two categories are the extremes; in reality most companies will be somewhere in between. The point I am going to try to make is that companies who get the full benefits of the training are those who seek to deliver an ‘experience’ to their people. Delivering basic training to the first category can be a challenge. Some clients make no real effort to communicate the current H&S challenges their organisation is facing, the reasons and motivations behind the training, the backgrounds of the people attending the course, or the desired areas of focus. I do proactively make calls or send emails to enquire, but sometimes fail to get a response. Sometimes when I do get through, I’m confronted by a lack of understanding of why I would ask a question such as “For what reason have you asked me to come in and deliver this training?”. The answer is seemingly obvious, but actually our motivations for arranging training can vary immensely. Has the organisation been suffering a trend of incidents? 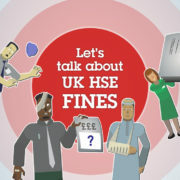 Is there a culture involving a lack of management accountability for H&S, which the organisation is trying to correct? 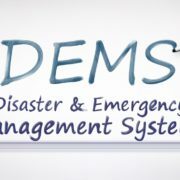 Has the training been requested by the insurer, or other stakeholders? When I arrive to deliver training for the companies only concerned with qualification itself, I tend to arrive blind and not knowing what to expect. The only knowledge I have of the company is what I have managed to glean from the internet and from speaking to our Sales Team. The receptiveness of the delegates to the training varies. In many instances, they have not received any explanation for their attendance. They arrive wondering “Why am I here?”. They worry about the work they’ve got to do when they return. Their goal is to get the training done, pass the qualification, and get out as quickly as possible. This can result in a group of very quiet delegates. Sometimes they can be a little disruptive and not take the training seriously. It means I have to manage the audience, and occasionally the odd heckler! The delegates usually pass the course and get the certificate, but I do wonder; if the organisation had put in a little more effort in communicating the reasons for the training, both to me and the delegates, how much more impact the training would have on their safety culture and performance? In contrast it is an absolute pleasure delivering transformational training to the second category of organisation. 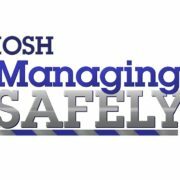 Let me describe the experience I had last week, when delivering IOSH Managing Safely training to a local vehicle manufacturer. When they first made enquiries about the training, the Group H&S Manager insisted that I visit the site, tour the facilities to get my thoughts, and have a meeting with them to discuss the background of the company and why they were looking into delivering training. They refused to commit to buying the course until they were satisfied I was a suitable candidate to deliver the training. They ended booking one course only, on the condition that I and I alone deliver it. Future purchases would depend on my performance as a trainer. In preparation for the course, I had to take photos of various operational areas, to use as hazard spotting exercises. In terms of the training plan, I was asked to plan in sessions for hazard identification and risk assessment on the shop floor. The goal was to ensure that the training as relevant to their operations as possible. 30min slots were inserted at the end of each day of training, to discuss relevant issues and H&S challenges they had identified during the day, and to brainstorm potential solutions. On the final day, each delegate was asked to commit to an action/project of their choice to improve H&S, and also to confess any reservations they had about future H&S challenges such as lack of resources, time, communication. This generated an hour-long discussion between all the senior managers on what they needed to do to ensure their line managers had the time, resources, and skills to deliver their H&S responsibilities. About 2 weeks before the training I received a list of names of the delegates, including their job titles. At a glance, I could see the management levels and area of operation of each person. I was somewhat nervous to find that I had the entire Senior Management team of the organisation on the course. The Managing Director / Owner, the Group Operations Director, Sales Director, and UK Operations Manager were all on the course, as well as their immediate reports. That showed me that there was a huge level of commitment to changing the safety performance of the organisation. The delegates also include a number of more junior people, including a couple of welders and a Quality Controller. This ensured some representation of the shop floor in the discussions. 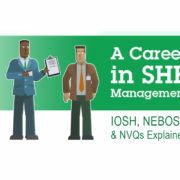 Train online with our IOSH Managing Safely eLearning course! I did my level best to keep the course relevant, pragmatic, and targeted at a senior leadership level of audience. It was obvious at first that many in the room believed their H&S performance was pretty good. Over the course of 4 days, I challenged them to raise their game, to notice how the same root causes were manifesting themselves in non H&S incidents, such as Quality defects, Production errors, and slippage of the production schedule. I helped them understand that managing H&S is just problem solving. As managers, they are natural problem solvers. I said, quite provocatively, “if you’re not very good at managing H&S, it’s either because you don’t care, you have low standards, or you’re not really a very good manager.” They could have taken offence. But we had good rapport. My goal was to raise their standard of “what good looks like”. They began to realise that instead of comparing their performance to their own performance 25 years ago, instead they should look elsewhere and benchmark themselves against their competitors, suppliers, and customers. They are a competitive group of people, and they relished the challenge I set them. The more they stepped up, the more I raised the bar. The more committed they became, the more effort I had to put into harnessing their commitment. The result? The Group H&S Manager described it as “transformational”. The MD said we had “surpassed expectations”. The feedback received was 5 out of 5 across the board, with some emails sent to me personally thanking me for the course and my delivery. We could all sense a real buzz in the atmosphere. The most pleasing aspect was that changes started to happen during the course. One of the group’s ideas was to ban permanent marker pens on site. These were used to write on vehicles, which then required significant cleaning efforts before dispatch. Introducing a new system of using non-permanent markers, and writing on masking tape instead, would not only significantly reduce the use of methylene chloride for cleaning, it would also raise the productivity of the cleaners. Win/win! So between the two general categories of company, which one do you think will get the biggest return on investment? And the best part? After the course, I was asked to deliver three further Managing Safely sessions courses. 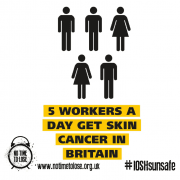 And we’re now in discussions to deliver Working Safely to around 300 shop floor operatives. I’m really looking forward to seeing the changes they’ve introduced, knowing I played a small part.